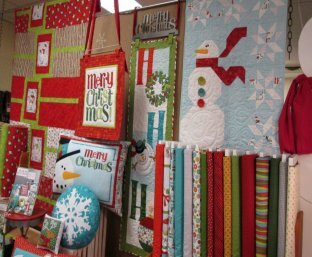 Thank you for making our Christmas in July a success! The effort and hours put into making this special paid off with all the excitement from each of you. 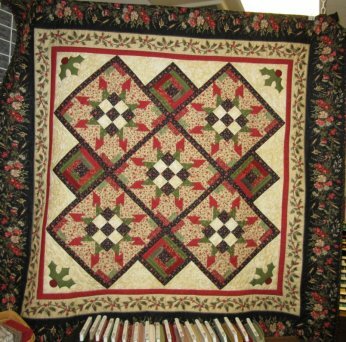 We love to hear the idea's you have and then seeing the quilts and projects that you made. We would also like to thank all of the demonstrators that made our "Schoolhouse" fun and educational. The demonstrators were, Cheri Noe, Gale Niemi, Angie Pitts, Bobbi Clark, Geralyn Powers and Charla Youngberg. They all did a wonderful job! 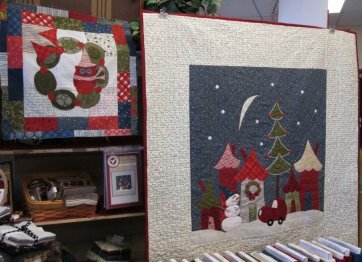 Each year Nancy Halvrosen has come out with some amazing fabric and designs for wallhangings, quilts, pillows and ornaments. 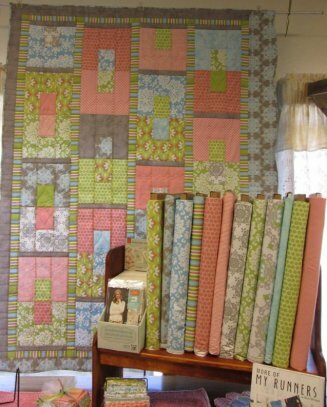 Nancy has graciously sent us her Trunk Show so you can see them up close and see how unique they are. 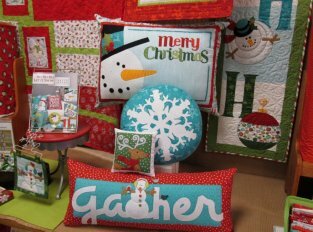 We will have them for just a few more days, so hurry in to take a look. 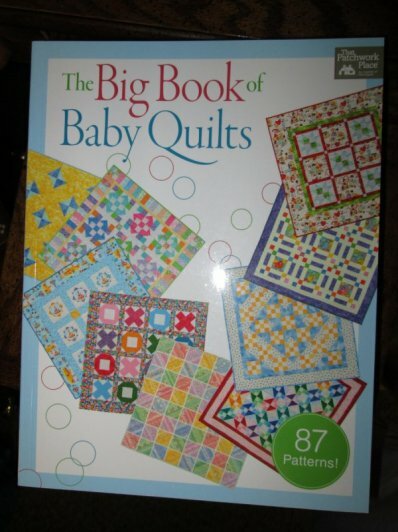 We have the book and the fabric to make all of these projects. Aren't these colors so summery? They are bright and cheerful! 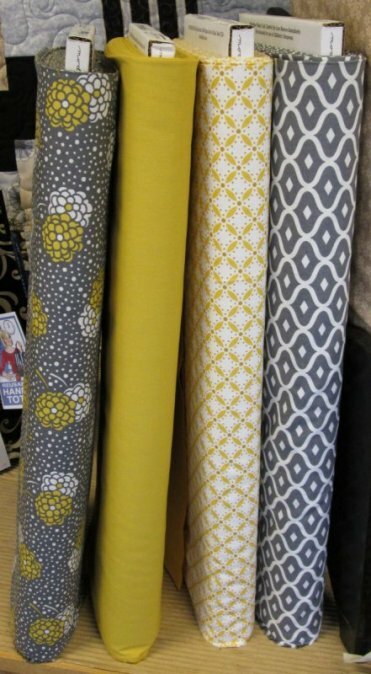 Sweet Things from Lakehouse Fabrics. This line of fabric is "Prisella" Cherry Cioppino has an eclectic look. 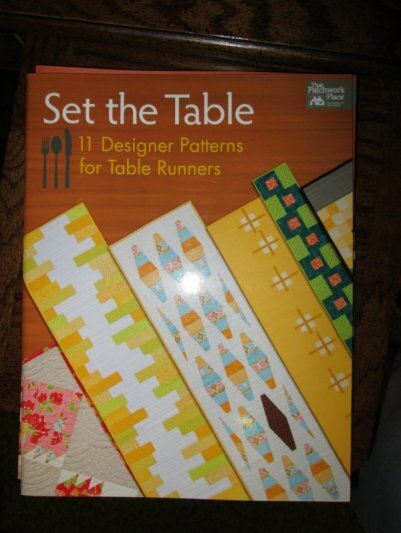 The piecing is simple. Great for today's large scale prints or any prints you are dying to work with. 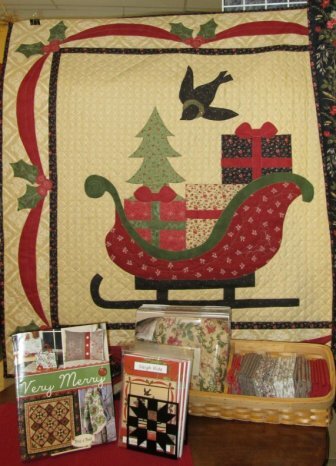 "Sleigh Ride" by Coach House Designs is such a unique wallhanging, very striking. 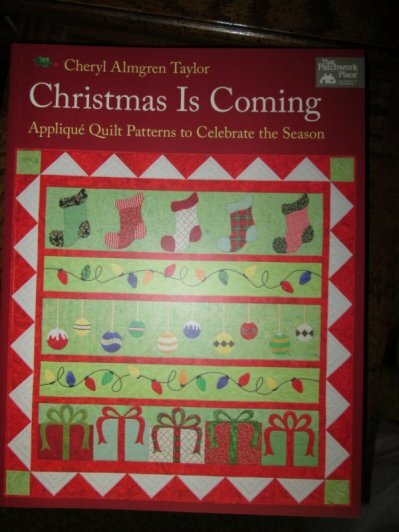 This gorgeous quilt is called "Cottage Cozy" and the book "Very Merry" has a variety of projects, you just won't be able to make just one. 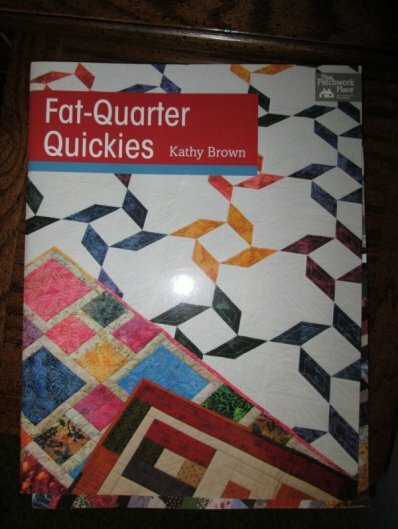 This book is a great value. 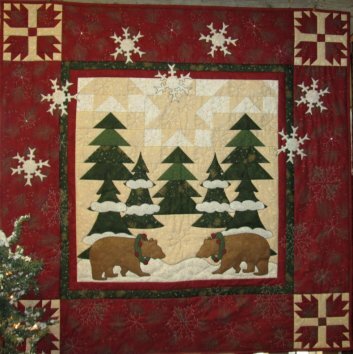 Christmas Bears by Holly Taylor using the "Holiday in the Pines" Fabric. 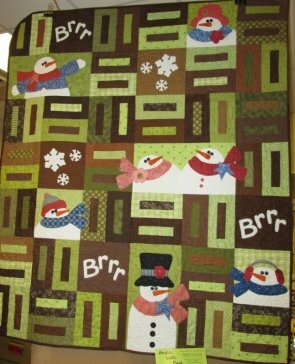 These wallhangings are "Owl Be Home For Christmas" and "Winter Wonderland" using Layer Cakes and Charm Packs. 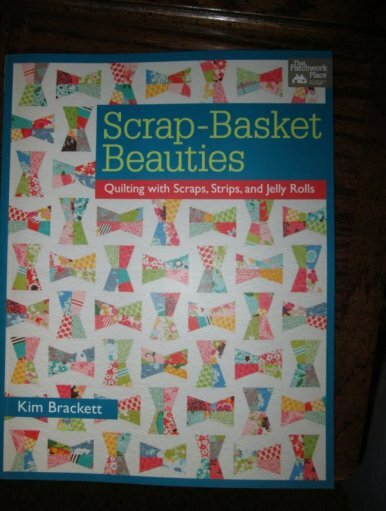 We have kits already made for you. 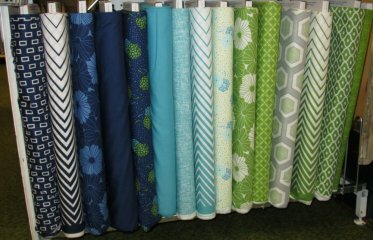 "Simply Style" Aren't these fabrics gorgeous? 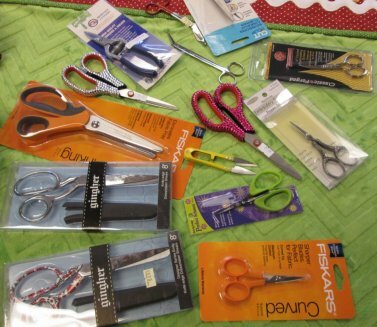 We have a large variety of scissors to take care of your sewing, embroidery and quilting needs. 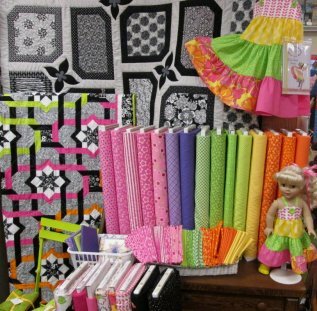 We have curved, embroidery, gingher, pinking shears, rag quilting, snips and nippers to set by your sewing machine. Come take a look. Do you need an organized place for your kids to put their crayons? 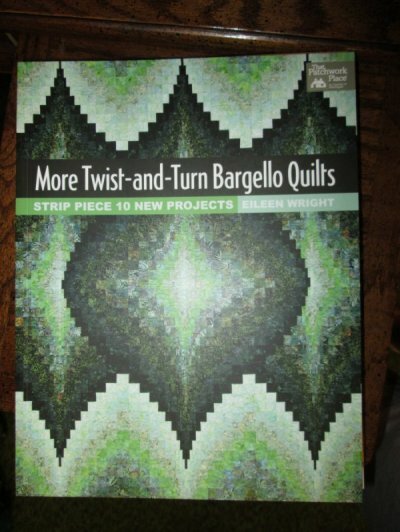 This easy project is all ready for you to make. 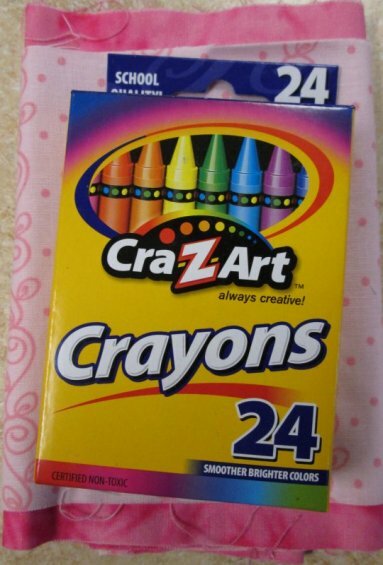 Crayons are included! This is our NOTION OF THE WEEK!!! The Binding Tool. 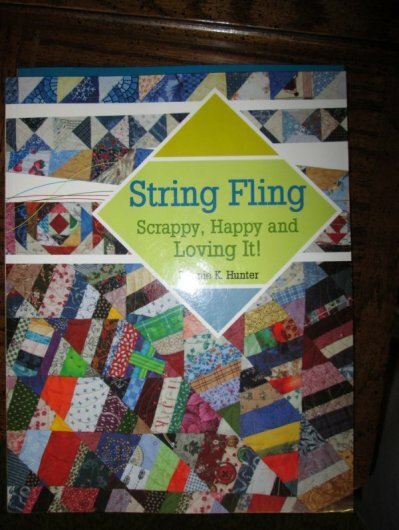 Do you have a thick section of fabric when you connect the end of your binding? Use this tool and it gives you the correct amount of fabric to cut and miter together. 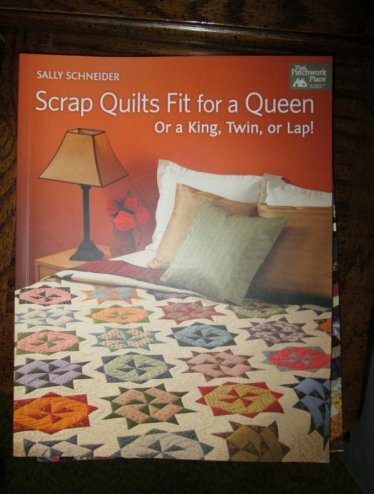 Come take a look at the new quilting books we just received. Great ideas!